Well of course I made purses as Christmas gifts this year! 🎄 No surprise there! So here’s the second “post-Christmas-reveal” post of one of the purses given as a gift this year. 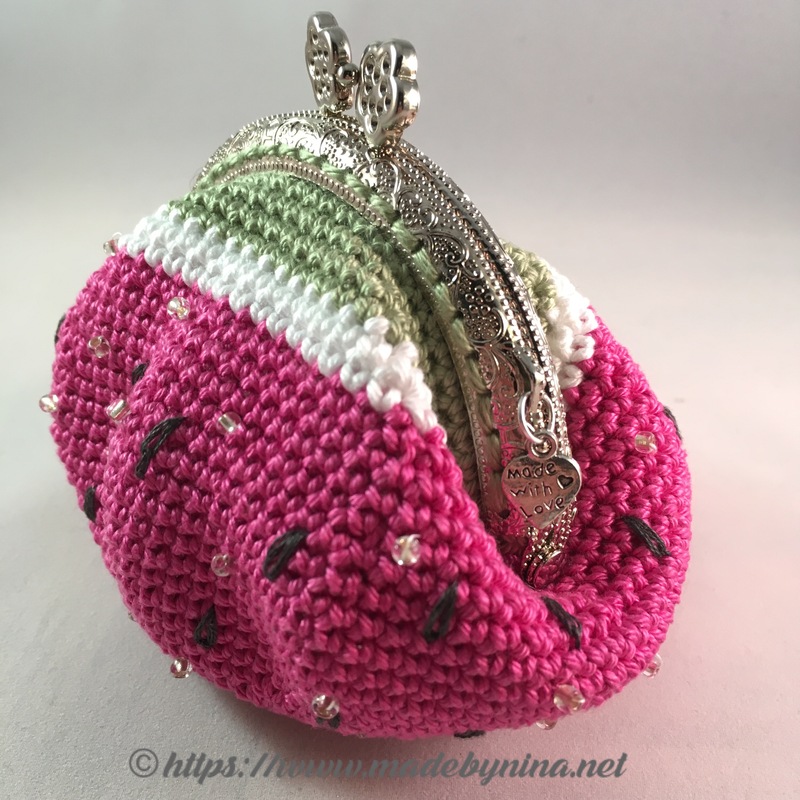 I loved making this purse, used a pattern for the feather which I purchased online and decorated with an embroidery swirl with beads and a crystal tear bead hanging from its clasp. 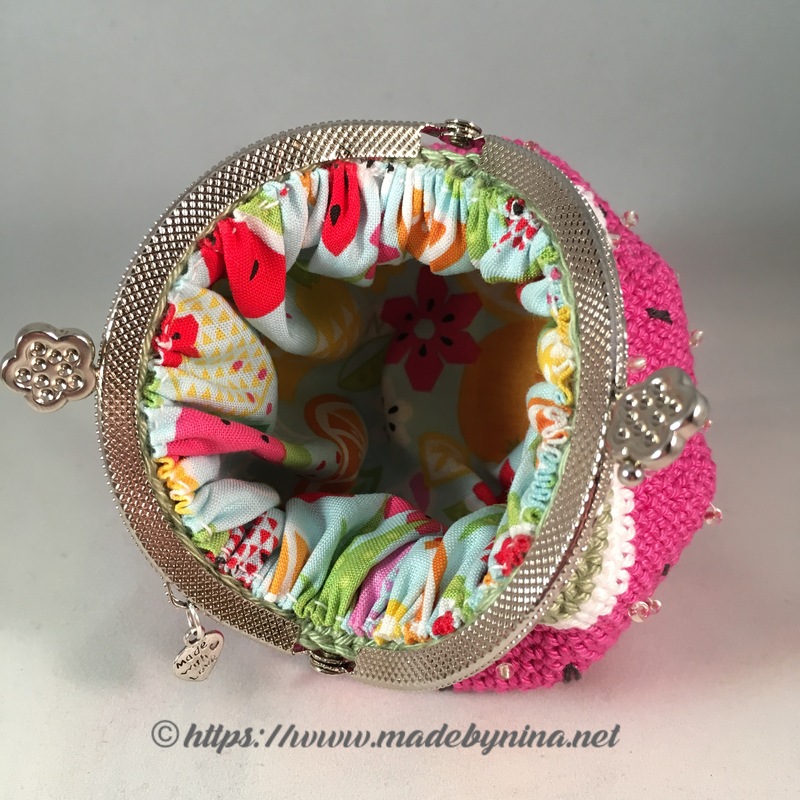 I’ve made this *Coin purse with the glamour of Christmas parties in mind where one would only require a small purse. The finished purse measures approx 4 inches tall by 5 inches wide, has a heart clip frame and a bronze ‘made with love’ charm. Decorated with a pink crochet butterfly and an inner lining with a complimentary design. All my *coin purses are made and stitched by hand. 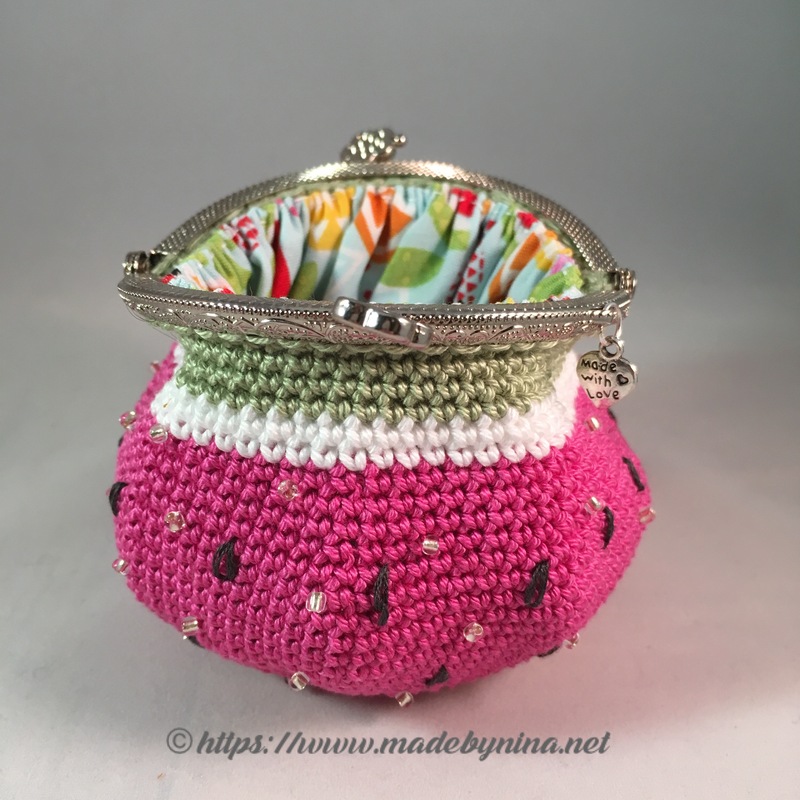 If you are interested in this or any other item I have made, please visit my Etsy shop for the available stock on hand. I am unfortunately not taking anymore orders for Christmas delivery, but will happily take orders for the New Year here. The finished purse measures approx 4 inches tall by 5 inches wide, has a silver frame and a silver ‘made with love’ charm. Decorated with embroidered seeds and clear beads (representing water drops) and an inner lining with a fruit design (Riley Blake fabric). 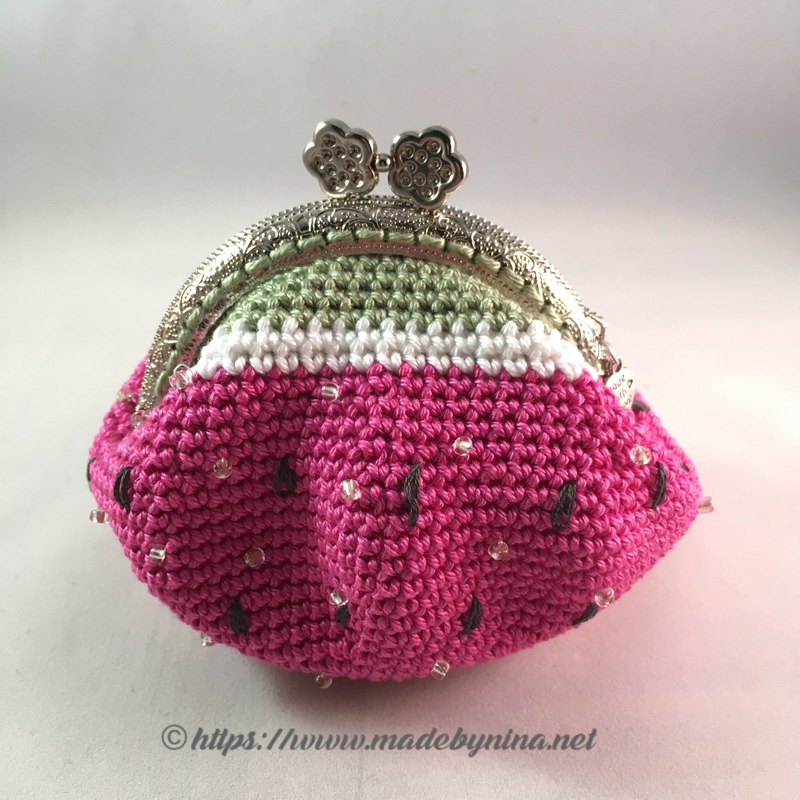 All my *coin purses are made by hand and stitched by hand. The purse will be available to purchase online via my Etsy Shop.